Beth Sherman has spent the last 2 decades writing writing for high profile comedians and tv shows, including Leno, Letterman and Ellen. You can hire Beth to help you write a toast, speech or vows! Beth knows how to bring out organic humor in writing, and more importantly, how to do it in a way that sounds like you. 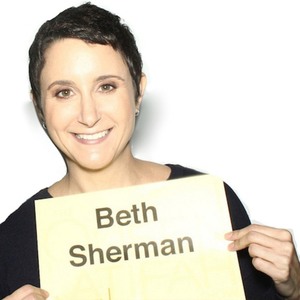 Beth Sherman has been a guest on 1 episode.